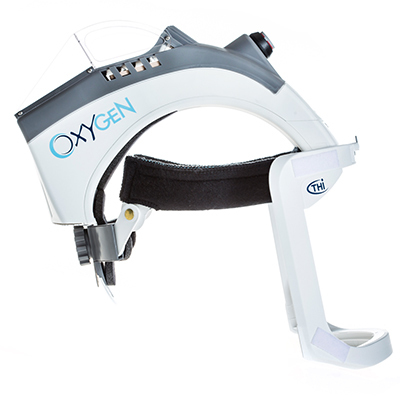 Developing the OXYGEN Aerolyte System, we decided to tackle a tough challenge: to combine a high level of protection with the personal comfort, the surgeon team needs to stay sharp and focused. Wearing a protective suit can cause hot and humid waste air to get trapped in your suit. To keep your body cool, our patented two fan system pushes waste air through a filter out the suit, making room for fresh breathing air. 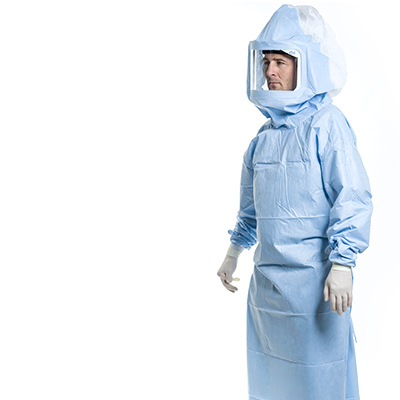 Helmet, battery and charger are the non-sterile ‘hardware’ of the system, hood and toga are sterile, single use gowns that are designed for perfect fit. 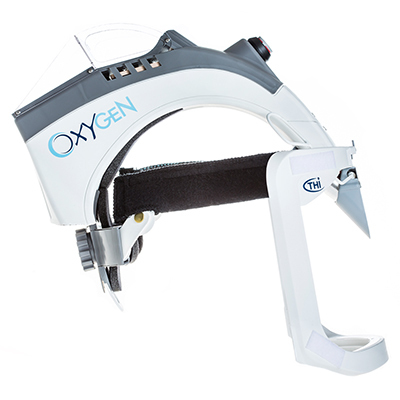 The lightest OXYGEN Aerolyte with two fans and easy to adjust headband (single action adjustment for your comfort). The powerful, single beam LED-lightsource is aligned with the user’s line of sight to ensure a perfectly illuminated deep incision. Pocked-sized Li-Ion battery with 43.6 Wh capacity. 250g weight. 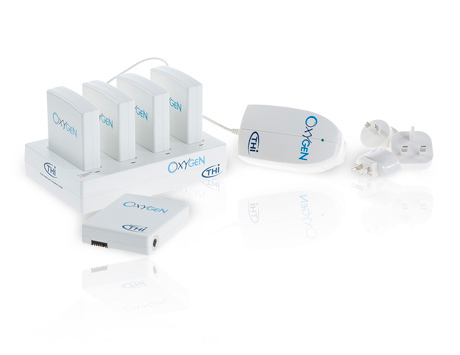 Charger with four charging slots and power plug. Stand alone head cover, use it in combination with a separate surgical gown. Designed to meet AAMI Level 4 and EN 13795 requirements. 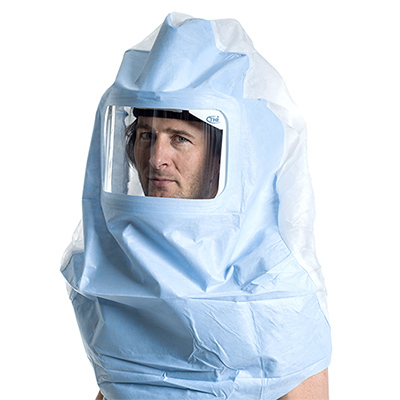 Breathable viral barrier with large filter on the back, one size fits all, single use, EO sterilized. One-piece head and body cover. Designed to meet AAMI Level 4 and EN 13795 (high performance) requirements. Available in 3 sizes. Convenient zipper on the back. Single use, EO sterilized.